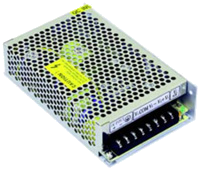 The DCHF70W series of DC/DC power converters offers up to 72W of output power in a 6.30” x 3.86” x 1.54” enclosed case. 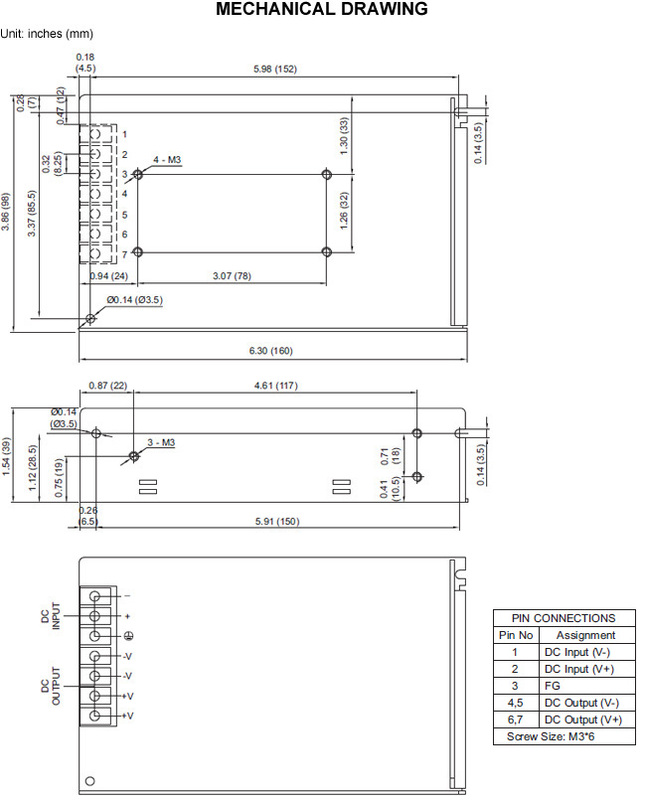 This series has 2:1 input voltage ranges of 18-36VDC, 36-72VDC, and 72-144VDC. The DCHF70W series also has 12V, 15V, 24V, and 48VDC single outputs available. Some features include ±10% output adjustability, a built-in EMI filter, and over load and short circuit protection. These supplies are also RoHS compliant. Notes: 1. Optional smaller size of the DC/DC converter (5.75" x 3.19" x 1.50") is available. Please call factory for more details.